Kim Jong-un has been pictured smoking a cigarette while visiting a baby home and orphanage in Pyongyang. 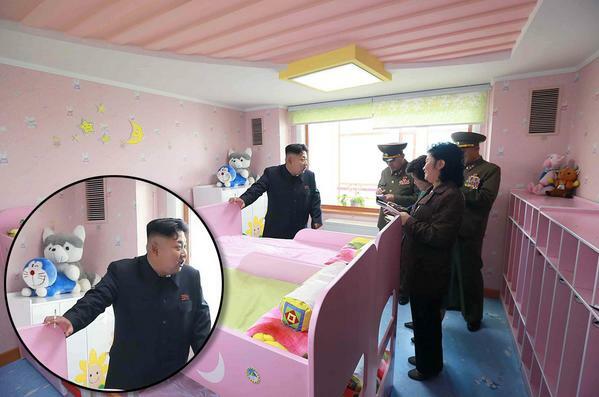 After missing from public for almost two months due to an apparent ankle surgery, the North Korean leader found time to visit an orphanage with candy-pink bunk beds surrounded by soft toys. The facility has over 250 rooms for nursing, education, physical exercise and treatment as well as outdoor and indoor wading pools, parks and various amusement equipment for children. It is not the first time Kim Jong-un’s been snapped having a puff on official business.